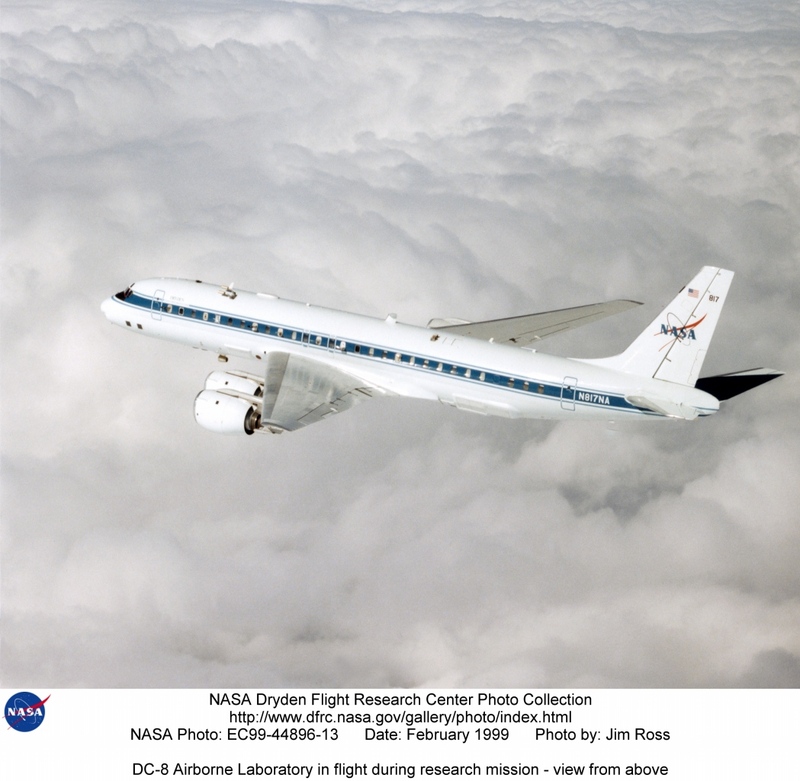 In November of 2002, Jane and I were invited to participate as research assistants aboard NASA's DC-8 Airborne Research Laboratory during the twin Leonid meteor storms of November 19. 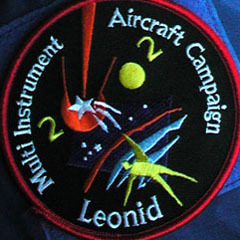 Below are snapshots, stories, and links to additional information about Leonid MAC 2002. Photos were snapped by Jane Houston Jones and Morris Jones between flights. Flash pictures were not allowed in the cabin during a flight, and the cabin lights were dimmed for observing. There are 17 pages in the photo album, each with four thumbnails. Click any thumbnail for a 1024x768 version of the picture. If you'd like to download an original photo from the camera, make note of the image file name in the URL, and find the file here. 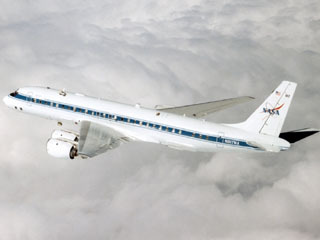 NASA DC-8 Airborne Research Laboratory N817NA, our ride for Leonid MAC 2002. Click for the beautiful 1024x1024 image and photo credit.